Kat Flowers are a home based florist specialising in wedding flowers and flowers for special events. We provide bespoke and wedding packages to suit your requirements with a range of bridal, wedding and reception flowers. We've also got a large selection of flower walls available for hire. We also supply beautiful rose boxes that can incorporate your logo, name or branding. We have a huge range of stunning flower walls available for hire for weddings or your next big event. Anna and her team of florists can create tailored florist and event packages for your special day. Our wedding services and flowers include fresh or silk flowers, wedding bouquets and button holes, wedding flower walls, venue decoration and set up and much more. 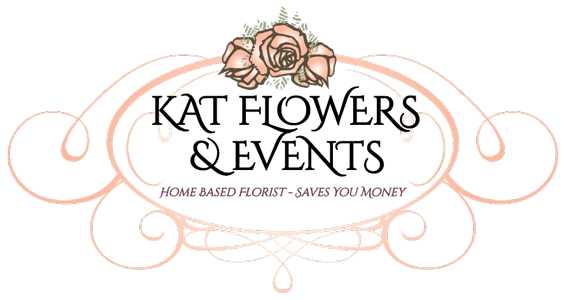 Kat Flowers & Events have a range of services for companies needing flowers and event props for the office or corporate functions. Flower walls, donut walls, candy carts, peacock chairs and vintage furniture can be used for office events and office parties. 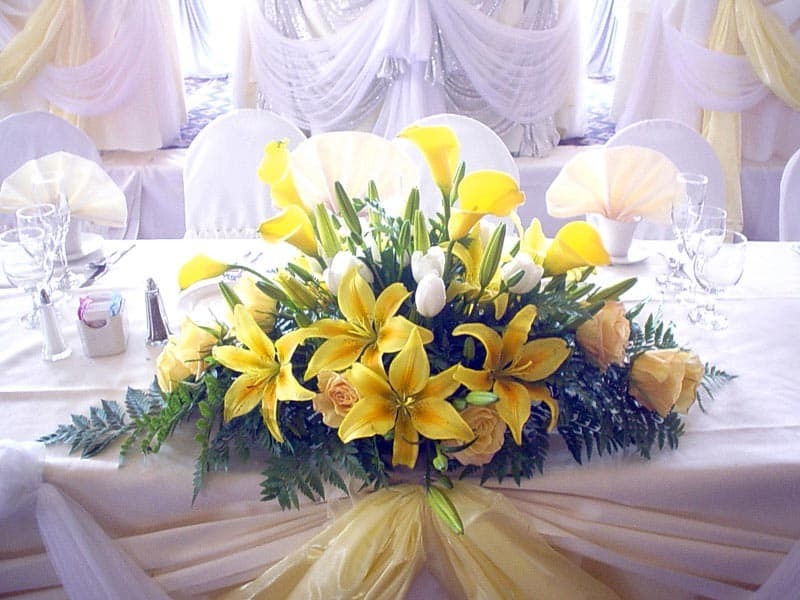 Contact us for a consultation about our wedding flowers and wedding reception packages. Our services and flowers include fresh or silk flowers, wedding bouquets and button holes, wedding flower walls, venue decoration and set up and much more. We will take care of all of you wedding day needs ensuring you special day goes exactly as planned. Take a look at our wedding page for our complete range of wedding florist services. 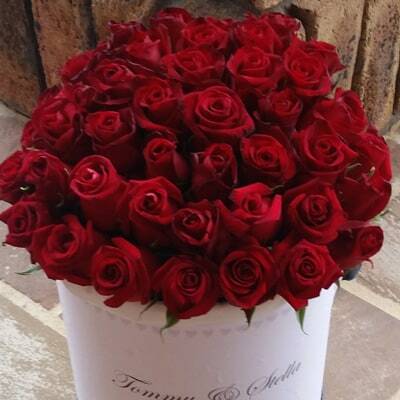 Take a look at our stunning bouquets of red roses. Let Kat Flowers look after your rose delivery for a loved one, or special event. Flowers for all occasions, birthdays, christenings, sympathy and loved ones. 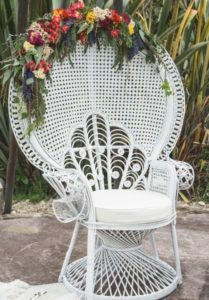 We have a range of Peacock Chairs available for hire for your special event. 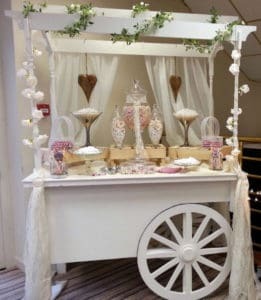 Candy Carts for hire that are perfect for weddings, christenings, engagements, private hire or any special occasion. KAT Flowers & Events are a home based Floristry and Events Service – catering to all your floristry needs. Anna and our team are qualified florists with 30 plus years experience in the flower industry. Being home based means we can pass on the savings of low overheads to you – saving you money and at the same time dealing with a professional, experienced, qualified team that has the time to personally prepare your flower order – ensuring everything turns out just perfect. Contact us today – we will take care of everything for you – your wedding will be the dream you always planned. Email us the flower designs you like and we will make these up for you – at a fraction of the cost of shop based florists!